Your Choice 2016 CTS-V System Has Arrived. Sure, you can keep your CTS-V stock, but you'd be doing a disservice to yourself, your ride, and small children who will grow up never understanding why horsepower matters. Upgrade your Cadillac's performance and sound with Stainless Works! 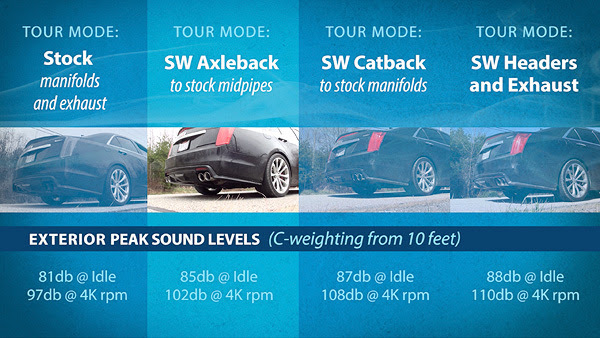 Our CTS-V performance systems have always been available in multiple configurations to fit your needs. We continue this promise of customizable modular systems to make your ride exactly your way. Whether you want a simple axleback, catback, headers or our full performance system from headers to tips, we've got it, with options to boot. Compatible with the factory Dual-Mode package, we have taken the OEM 2.5-inch valves and engineered a 3-inch performance valve which maintains the all the function while increasing flow. Factory manifolds can be restrictive and hold back the true potential of your ride. Stainless Works' systems unlock the power of your engine. Our long tube, free-flowing design reduces back pressure, and will bring new found power that you can feel and hear. 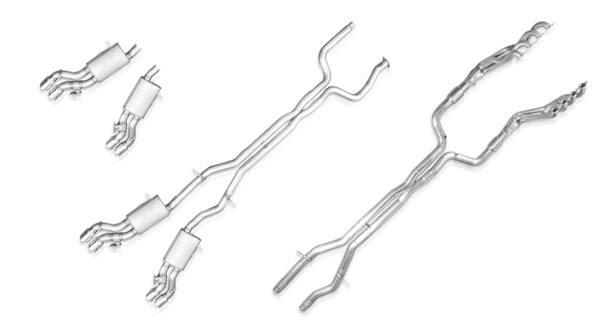 Stainless Works headers and exhausts are designed to take the punishment of your motor, and are backed by a Limited Lifetime Guarantee on material and workmanship. We want to make sure installation goes as smoothly as possible, that's why Stainless Works systems come Install-Ready. Whether clamps, O2 extensions, bolts or RTV silicone, our headers and exhausts come with all necessary accessories to make installation as smooth as possible.